The exact cause of Fibromyalgia is currently not yet known. In our experience is seems that Fibromyalgia is often preceded by a period of high stress or an emotional trauma. It may also be preceded by glandular fever or a viral infection leading to Chronic Fatigue Syndrome, followed by Fibromyalgia. It can also be confused with Lyme’s Disease for which we recommend testing. A Dutch study into Fibromyalgia indicated an altered function in the stress response and a reversal of the expected levels of the stress hormone, cortisol. Normally the level of this hormone is high in the morning so you wake refreshed and energized and is low at night so you can sleep. In Fibromyalgia the morning cortisol levels may be low so you will struggle to wake up and the evening levels may be high so it’s hard to sleep. In some cases of severe stress, cortisol levels may be extremely high causing you wake up during the night or in the morning feeling anxious. Disrupted sleep patterns can create a cascade of other problems. During periods of deep sleep the body repairs cells, heals, and grows new tissue. If you are not getting enough good quality sleep, especially sleep before 1:00am then your body may not be able to recover from its normal day to day wear and tear. Another aspect of Fibromyalgia is a disruption in the immune response. In an autoimmune disease like Fibromyalgia the body’s immune system seems to overreact, and the body appears to attack its own cells causing inflammation and pain. Conventional doctors will often treat this with immune suppressant medication and anti-inflammatory drugs. This can certainly bring relief but these medications can also cause serious side effects, especially when used long term, and they don’t address the possible underlying causes. 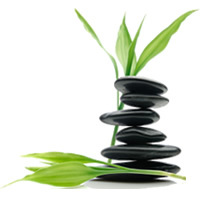 At Simply Natural Therapies we believe that the best Fibromyalgia treatment is a natural and holistic approach. The Naturopaths, based at our clinic in East Doncaster, Melbourne, use a range of alternative treatments to assess exactly which systems and hormones are out of balance. We use a number of diagnostic measures including blood, urine and saliva testing to get an accurate picture of what’s happening in your body and to assess your progress throughout your treatment. Pain Management treatments for Fibromyalgia include light touch Lymphatic Massage, Energy Healing Techniques like Reiki, Meditation or Self Hypnosis. Our team of experienced practitioners at Simply Natural Therapies in East Doncaster, Melbourne provide an extensive range of Fibromyalgia pain treatment options. When relying on conventional medicine and pharmaceuticals the prognosis is poor. One mainstream study showed no improvement after two years. * (Prospective Epidemiological Observations on the Course of the Disease in Fibromyalgia Patients Vera Nöller1 and Haiko Sprott2*) This is really disheartening news if you’re in pain, feel exhausted and can’t sleep. When using alternative treatments for Fibromyalgia, the reduction in symptoms appears to be much better. Of course we are not allowed to claim that alternative treatments can cure Fibromyalgia but many of our clients have found that their symptoms reduce, they sleep better, have more energy, experience better pain relief and feel much more comfortable. Although Fibromyalgia can affect a number of different body systems the first step in treatment is usually aimed at normalizing the digestive system. This is essential to make sure the body is able to absorb the nutrients it needs for healing. It’s also vital to make sure the gut wall is healthy and that toxins and undigested food from the bowel are not being absorbed into the bloodstream. Our Naturopaths may recommend dietary changes, herbal remedies or homeopathic treatments to achieve gut health. Depending on your particular symptoms our Naturopaths may explore options to ensure you get enough good quality, deep sleep at night. Alternative treatments and remedies can correct the disruption of stress hormone levels and normalise sleep patterns. Fibromyalgia pain treatments and learning stress and pain management techniques are also an important part of achieving quality sleep. At Simply Natural Therapies, in East Doncaster, Melbourne we have a strong belief in the body’s ability to heal itself naturally. Our Naturopaths will carefully assess and monitor your immune function and select the appropriate alternative treatments to safely correct it without causing dangerous side effects. A healthy immune system is much more likely to maintain the health of your body. We’ve found that our Far Infra Red Sauna and Ionic Foot Detox can help support the body to create better health. The Far Infra Red Sauna is the same frequency that’s used for humidicribs for new born babies. Its a beautifully soothing and healing warmth that penetrates 4 to 5 cm into the body and can create wonderful pain relief and reduction of inflammation. Further treatment will depend on your individual symptoms and your response to treatment. Our Naturopaths are dedicated to working with you and your doctor to make sure you get the very best Fibromyalgia treatment possible.